Handy carry strap, Detachable shoulder strap. Reflective strips for night protection. Tail light hanger. Large compartment with inner mesh pocket. 2 side pockets, rear pocket, top pouch with external bungee cords. ABS base, 1680 nylon. 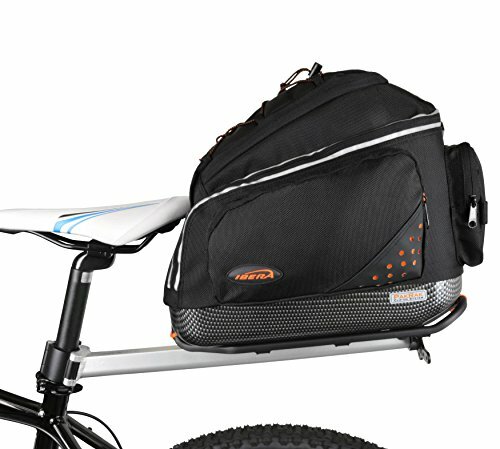 Quick-release bag mounting system only works with IBERA Rack.Carries up to 10 kg (22 pound), Rubber sizing shims included, Reflector attachable, TIG-welded, heat-treated, anodized aluminum.